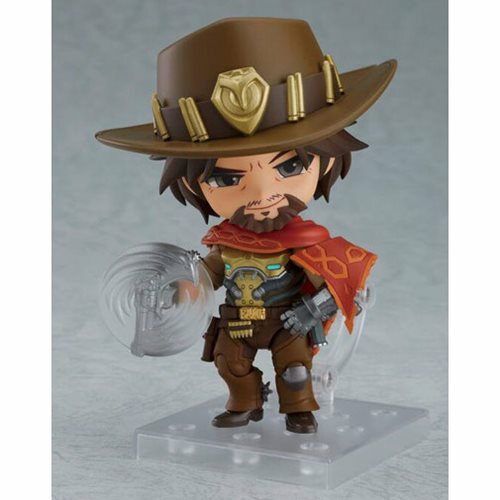 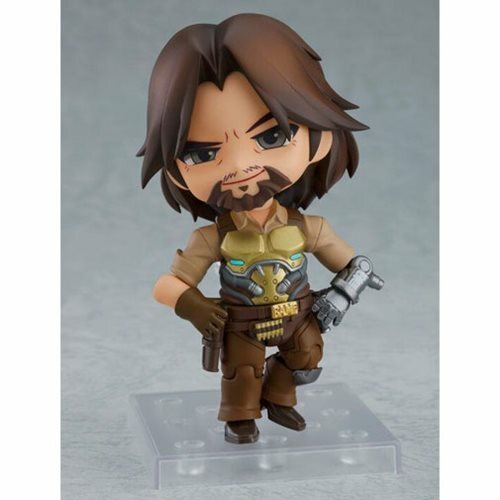 From the globally popular multiplayer team-based shooter Overwatch, comes the eleventh Nendoroid figure from the series - McCree! 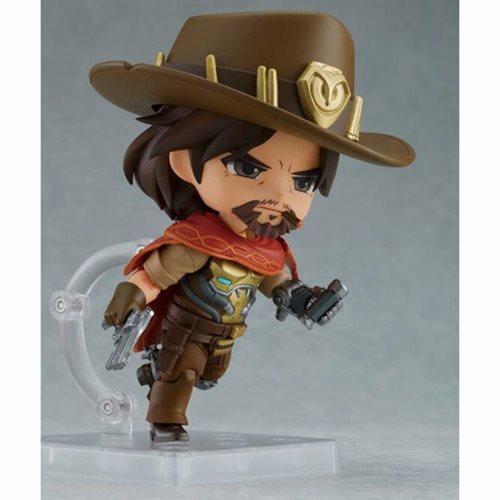 The Overwatch McCree Classic Skin Edition Nendoroid Action Figure (and his cape) are fully articulated, allowing you to display him in action-packed poses befitting of the gunslinger. 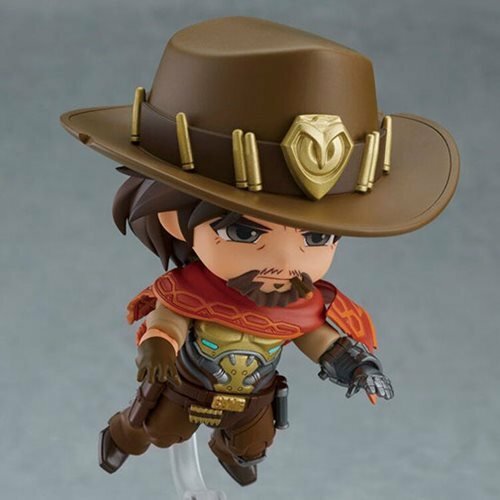 His cape and hat are also removable, so you can display him in a more lightly equipped appearance not often seen in-game. 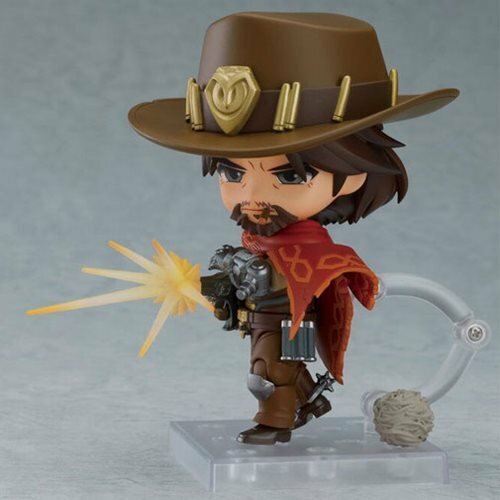 He comes with a standard version as well as a spinning version of his Peacekeeper revolver. 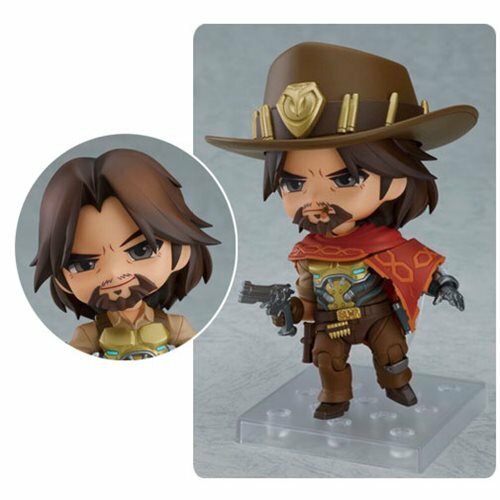 In addition, he comes with 2x face plates, a flashbang, Deadeye effect parts, and the tumbleweed that rolls in front of him while using Deadeye! 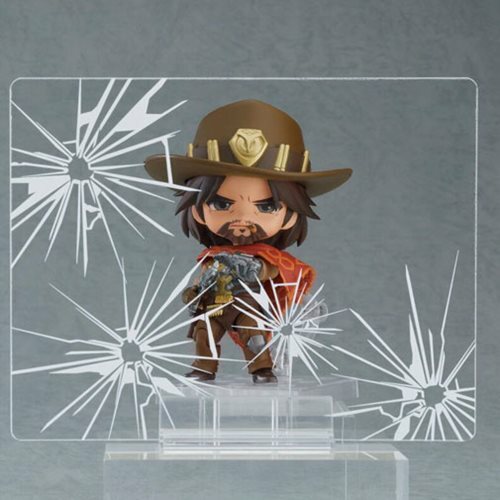 Finally, a clear effect sheet based on his "Rolling Into Action" highlight intro is also included!